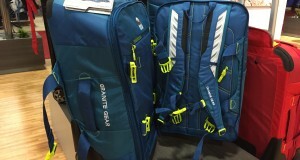 Summary : This is a great backpack with a unique feature that allows you to access the back from the front. 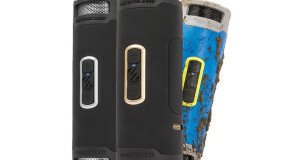 You trade price for this awesome feature and very good build quality. Mindshift has come up with a solution to the following problem. How do you access your backpack without taking it off? 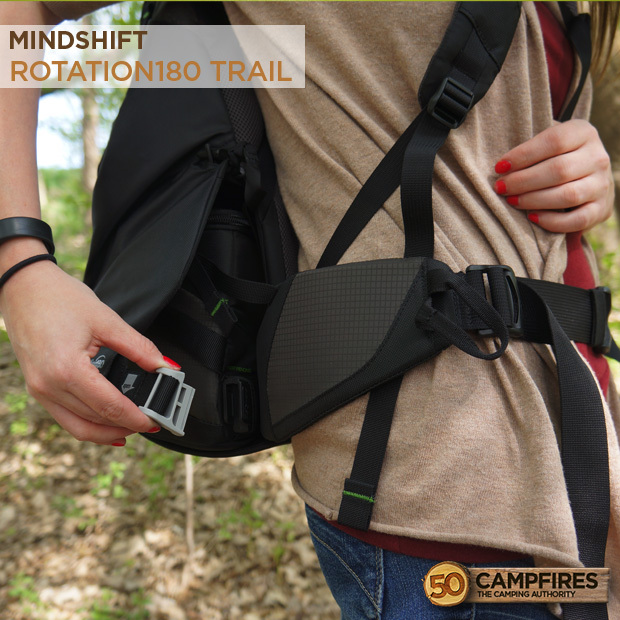 The solution is called the Mindshift Rotation 180 Trail backpack. What happens when you are hiking see a Bald Eagle flying by? 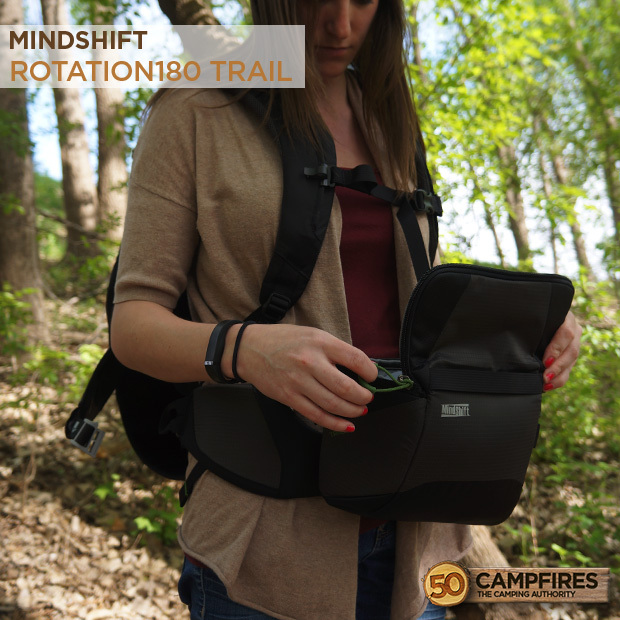 Instead of stopping, taking your backpack off, unzipping the back and hope you get the picture, with the Mindshift Rotation180 just twist the back pouch around the front and access your camera in seconds. 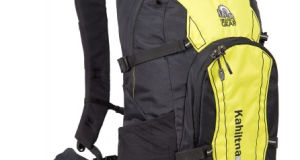 Appearance: This is a mid-sized 16 liter backpack with some very comfortable straps and a good amount of pockets and storage options. All your friends will think it’s just a regular backpack and then, Bam! Whip the pouch around and you’ll look like you have a backpack AND a beltpack (also known as a fanny pack). 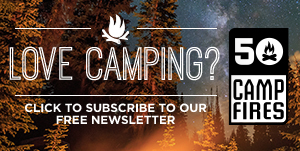 You’ll just blow their mind. Oh, and it looks great and feels good on the back. 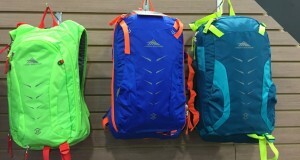 Functionality: Being able to access your backpack from the front without taking it off is enough to blow your mind. The people at Mindshift know how to think outside the box. 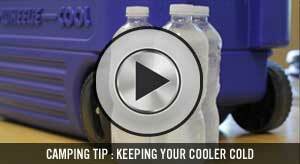 With the backpack secured, it’s very easy to undo the clip and swing the belt around to access the 4.5 liter pouch. 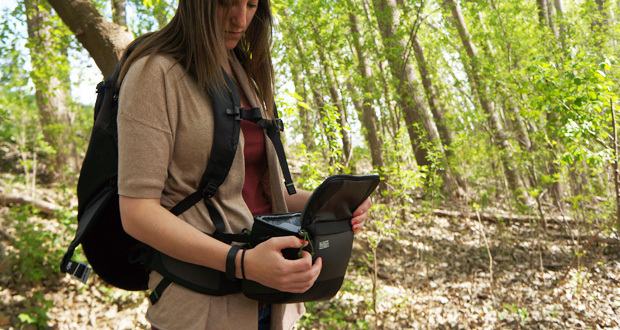 This compartment can have up to a small DSLR camera with a medium zoom lens, you can put a tablet or snacks or anything you want into the beltpack to access on the fly. 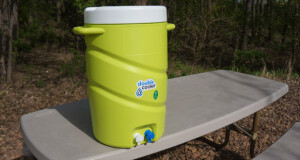 The hydration compartment fits a 2 liter Camelbak or any 1.5 liter reservoir so you can hydrate from the top and access the bottom with ease. 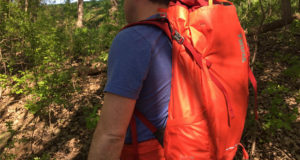 There are a lot of great features to this mid-sized backpack. Oh, and there’s a lot of great padding for wearable comfort too. Ease Of Use: Accessing the compartments are a pleasure to use for anyone who can operate a zipper. 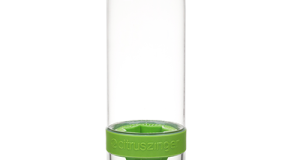 There is a mesh stretch pocket that fits a standard 16.9 fl oz water bottle, but not larger than that. The swinging beltpack is easy enough to move from the back to the front. The clip that holds the beltpack in the back is much easier to use than expected. We cannot imagine another way of accessing your backpack from the front without an unwieldy contraption. Durability: The bottom has a tough mesh material on both the bottom of the backpack and the bottom of the beltpack that seems like it can take a good beating and scraping before it would start to wear. All the straps are well made and the clips are solid. 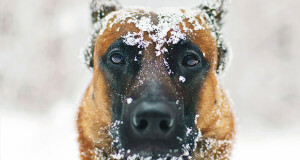 Nothing is flimsy or cheep from our observation and testing. 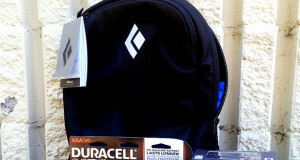 Weight: While the whole backpack is made of light and durable material. 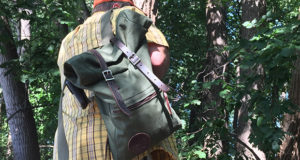 Because the beltpack is separate, more material was used than a standard hiking backpack, but you sacrifice a little weight to gain access to the back of your pack. Value: Listed at $179, the Mindshift rotation180 Trail backpack is reasonable for the options it gives the owner. From the many pouches and pockets to being able to access the back from the front without taking it off. 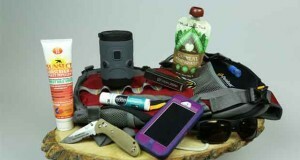 This product offers things we have not seen in any other backpack.